Dustin Perkins is the consummate musician. Singer, songwriter, guitar picker, and working businessman in the industry. Perkins started playing music, encouraged by his parents, while still in high school, and soon found himself hosting the open mics at T-Bones in Denison. He played some Wednesday nights around town, but nothing really big enough to shout about. One of Perkins’ self-penned songs is called “Take That Advice,” and although that song is about another area of life, Perkins took that advice to heart. Within six weeks, he had a CD and a band, and Dillon seems to have been right. Dustin Perkins was on his way. That was about 2010. 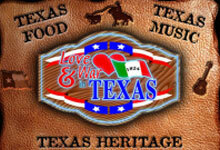 His first CD was called I Wrote You A Song, and included “Leavin’ Dallas,” a song soon recorded by Casey Donahew. And it included what KHYI’s morning team nicknamed “The Cussin’ Song,” but actually named “Greener Pastures.” Listen to it to understand that nickname. The Dustin Perkins Band was becoming much sought-after. It became finalists in the Shiner Rising Star and Billy Bob’s Texas band contests, and Dustin himself a finalist in the Rusty Wier singer/songwriter contest. But it wasn’t about the contests for him or for the band members. They wanted to play songs. And he wanted to write more songs. And occasionally sing solo, but more often with the band. They practiced together — often — and got better with every session. Music is in Perkins’ blood. His grandfather, Howard Strause, put two songs on 45-rpm records in the mid-50s. “Seven Lonely Days” and “I Really Don’t Want To Know” received considerable radio play in the Northern states. The band, at that time, was Colton Gilbreath on lead guitar, Nathan Brown on drums, and Jason (Fuzzy) Smith on bass, with Dustin on rhythm guitar and vocals. Then, come along another major change — marriage. And about then was when Dustin gave up his full-time career as an Oncor lineman. Grandfather Strause had passed away, and Dustin’s hardest song he ever wrote for far that incredible musician and he performed as his granddad’s funeral. Perkins recorded one more CD, called Words, which includes the “last known performance of Howard Strause,” as Dustin wrote on the cover. “Mr. Dream Man” is a rather haunting cradlesong and Mr. Strause’s aged harmonies, in a very Ray Price voice, are distinct behind Perkins’ leads. Then, pain and change really hit even harder, when Dustin’s father-in-law passed away and left everything on his Oklahoma ranch for Dustin to handle. He turned cowboy really quickly. A son was born — no pain there, just pure heart-joy. Then a heartbreaking divorce. And new jobs. And life in the Antlers area. And starting over — again. Perkins gave up the band, gave up traveling to sing his songs in 2013. But, not before he had gone on his last adventure, which he called his “Bag of Bones” tour. He set out with a full tank of gasoline in his van, some CDs and T-Shirts, and ambition. He busked and cajoled his way to the Northwest U.S. and back again, playing his songs and making new fans all the up and down that west coast. That ended when he powered his still-mobile van into Hank’s Texas Grill in McKinney where a bevy of fans and friends waited to welcome him home. Though Dustin Perkins quit music in 2013, he’s back in the saddle again. The same original band of Brown, Smith, and Gilbreath again side by side with him, and multi-instrumentalist Jared Mitchell, who learned to play keyboards just to join this band, adding to the sounds. For Dustin, it’s also back to weekly practice for them, too. He’s still wanting to put only professional concerts out there for his fans, the older ones who are so glad he’s writing and singing again, and the new ones he’ll be making during the upcoming years. They practice almost every Monday, and set up a cell-phone live feed on the Dustin Perkins Facebook page for everyone who wants to check in and listen. And hundreds, even into the thousands, do. The differences now vs. then, though, are that neither Dustin nor those in the band are wanting to hit the road, to tour for days or weeks at a time. They are all new parents, and want to be with those families. And Dustin no longer wants to take care of all the business end of the industry. “Oh, I may get a few new T-shirts,” he said, but reminded himself to be careful and not over-order. Through it all, Dustin has his major priority set on his son, Tuck, almost two years old. “I get him Tuesdays through Fridays and every other weekend,” Dustin said. “Now that little boy takes up so much of my time. It’s amazing to watch him learn and grow. He loves everything to do with music. He dances and sings. He plays the piano and my guitar. It’s like a new project, an inspiration, for me. What I’m after now is making him happy and watching him grow,” the proud papa said. He and those around him will be starting the planning of the 2nd year of Mountain Jam, held on a mountainside tucked in between three other mountain ranges, or as they are more often called… Oklahoma hills. That will happen sometime in early- to mid-May. “But, it’s also a good time for making some music, some noise, and getting back out there,” said the once-retired musician. “We’re getting nothing but better with every practice. The hardest part is getting ourselves wrapped around those old songs we did years ago. We have to play better now than then. And we are,” he added with a touch of modesty but more pride in his voice. “It’s sounds more mature now than it was when we were really making a go at it. Yep, that’s the strength that began when he hit his first open mic, so many years ago when he was just 15 years old. 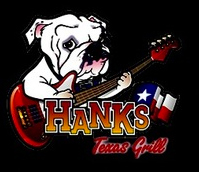 The Dustin Perkins Band will be playing at Hank’s Texas Grill in McKinney on Saturday, February 17 with Colton Gilbreath’s own band, Sons of Fannin opening; then at Gilley’s/Choctaw Casino in Durant on March 17, following the Chris Stapleton concert in the Grand Theater. Dustin, I’m so proud of you! It does my heart good to know your doing what God has called you to do!!! Give Tuck a big hug from Papa!! Love you man!! !